Gazzo is one of the most sought after professional entertainers in the world. Based in Bath Spa, England Gazzo performs magic all over the world. He has been mixing his comedy, magic, and charm for over 30 years into a must see show. 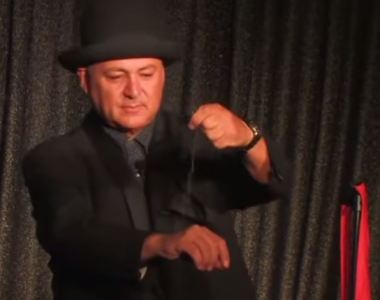 If you need a magician for a corporate event, private function, wedding, or outdoor event; Gazzo can do it all. Most famous for his cups and balls routine, Gazzo has turned a classic magic effect into a hilarious, magnificent, gut busting night out. He blends his unique style and comedy into his shows that whether you are a fan of magic or not, you become a fan of Gazzo instantly! He has travelled the world performing for all different types of people. He has graced stages across Canada, USA, UK, China, Dubai, Portugal, Spain, New Zealand, Australia, and all over Europe. Recently he was seen on Penn & Teller’s Fool Us on ITV to a great success. “ In all art and performance its the singer not the song and you are the best singer we have ever seen.” Penn of Penn & Teller. 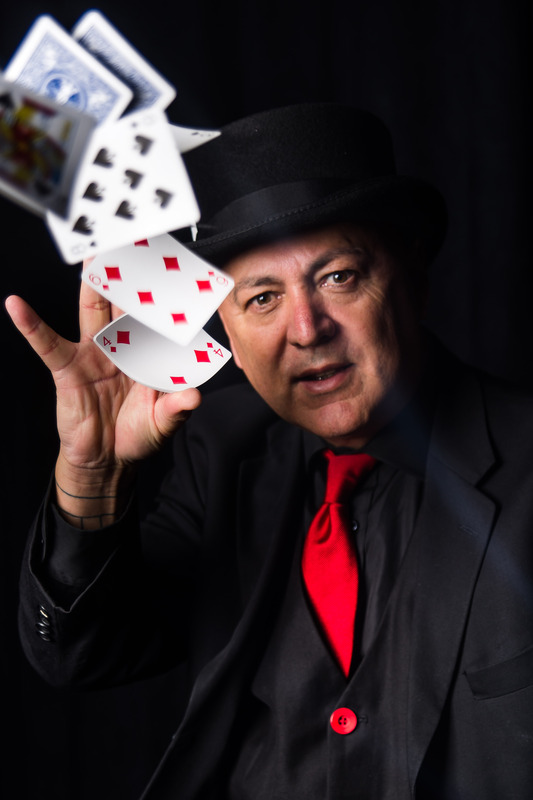 Gazzo is a true expert in sleight of hand for close-up shows and is a true professional when it comes to performing for groups of hundreds to thousands. 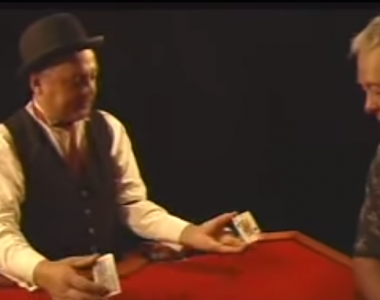 As well as being the author of numerous books and dvds in the magic industry; Gazzo performs weekly at his own venue in Bath called Krowd Keepers Magic Theatre. “GAZZO is an incredible performer and a great influence on modern magic”. Hotel Hospitz Austria, Whitsand Bay Hotel UK, Kempinski Hotel Dubai, Westin Resort Hotel Key West, Laughter Arts Foundation, Monday Night Magic, Club Highgate London, Bakie’s Bar & Restaurant USA, Northern Lights Boston, JCB England, Colonial Spirits Boston, Koa Camp Grounds of America, Fidelity, Insurance, PIzzaria Uno, Technicolor, Virgin Airlines, TWA, Orangina, Fleet Bank, Budweiser, Bank of Boston, Mac Trucks, Wild Club Boxing Club USA, WWF California, Nikon Camera, Boston Red Sox. Bari, Italy, Bologna, Italy, CLAM in Milano, Italy, Torino, Italy, Napoli, Italy, Novara, Italy, Monza, Italy, Turin, Italy, Zurich Switzerland, Vienna, Vienna, Krems, Vienna, Graz, Vienna, Innsbruck, Austria, Portsmouth Magic Society, Bristol Society of Magic, Ireland IBM Convention, Coventry Magic Circle, Wolverhampton, Nottingham, Bradford, North Western Society of Magicians, Manchester, Blackpool, Glasgow, Edinburgh, Aberdeen, Newcastle, Watford, Lemington, Warwick, Surrey, London Society of Magicians, Magic Circle, Leeds, Derby, hull, Liverpool all for magic Societys, Edmonton, Canada, Portland, Syracuse NYC, Massapequa Long Island NYC, Poughkeenpsie, NYC, Philladephia PA, Baltimore, MD, Virginia Beach VA, Richmond VA, Huntsville AL, Birmingham AL, Atlanta GA, Gainesville FL, Hollywood FL, Melbourne FL, Tampa FL, NYC NYC, Nashua NH, San Fransisco, Las Vegas, Temecula CA, Colorado Springs CO, Fort Collins CO, Denver CO, Tuscon AZ, Phoenix AZ.